Basically, GPS (Global Positioning System) is a geographical location system which is connected to 28 satellites orbiting around the planet. Originally designed for military operation, it is now used in other fields, such as navy and motor worlds. If you plan to go around in your car and have no other use for it, your best choice is a car navigation system. Some of these are included in cars, or you can also buy the equipment and install it on the panel. Its main functions include detailed maps of the area to travel, voice direction, touch screens and rerouting in case you have taken the wrong turn. Also, it has a database that will help you get to the nearest gas station or other places in your route. Portable systems GPS: these compact devices can be used in any kind of cars. These systems do not usually have all the advantages of a built-in GPS, but its traits vary according to the model. So, the newer models offer traffic reports in real time and voice direction functions. These units can be easily installed in your car, and have a battery that recharges by any electric plug socket. Built-in panel systems GPS: if you are looking for a built-in GPS but do not want to buy a new car or let alone keep the factory version, this is the choice for you. This system offers drivers real time traffic information for your travel route, and it can also play DVDs. Some of these systems have a function which lets the device retract inside the panel when it is not being used. Built-in factory systems GPS: when you buy a new car, usually the GPS is optional. Although these devices also have big screen and fit perfectly into your car, they are also the most expensive navigation systems. Besides, map updating can be very pricey and the constant arrival of new technologies makes it harder to do. 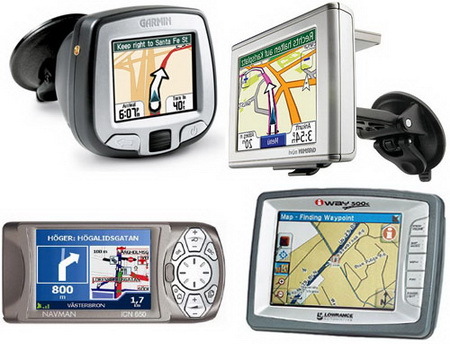 In today´s market there are many kinds of car GPS. So for example, the most affordable models do not include voice guided direction, while the most expensive ones have cutting edge GPS technology, such as voice activated control, traffic information, Bluetooth calls and voice turn direction. Prices for the most expensive ones range between 500.00 and $ 700.00. Now that you know the many kinds of car GPS there are, we hope you make the smartest choice when buying one.